February 9, 2019, 9:00-11:00 a.m.
Share your interest in writing poetry with a group of talented poets. 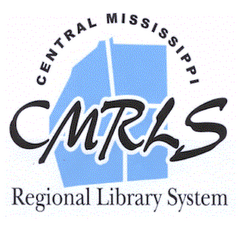 This group meets every second Saturday of each month at the Flowood Library. Poetry is a kind of writing that uses the sounds as well as the meanings of words to create ideas and feelings. The writings are called poems. Poems have sounds and rhythms that people like. Poems have been used as songs, prayers, and magic spells. People clap their hands to favorite rhymes. Many people enjoy reading and hearing poems, and some people enjoy writing them. People who write poems are called poets. There are three main kinds of poems. Lyric poems are short poems that describe things or express strong feelings. Japanese poems called haiku are one of the shortest kinds of lyric poems. Narrative poems are poems that tell a story. Some of these poems are stories of heroes and battles. Others tell a story about one person. In dramatic poems, one or more people in the poem tell the story. The plays of the English writer William Shakespeare are dramatic poems. Poems have a rhythm. The language flows in a certain way. Sometimes the language has a regular pattern or beat. Poetry has been an important art since early times. Some Greek poems are more than 2,500 years old. The Old Testament of the Bible contains Hebrew poetry. The ancient Romans learned much about poetry from reading the Greek poets. They wrote their poems in Latin, the Roman language. In Europe, many educated people learned Latin and wrote poems in Latin. But about 500 years ago, people began writing in their own languages. Many styles and forms of poetry then became popular. In the 1900s, poets wrote many new kinds of poetry. Many poems were free verse. Today poets write poems in new forms and in forms that are hundreds of years old. Poetry is found in the lyrics of your favorite music. Words that rhyme can be used to help with memory. Poetry is a form of expression that is uncommon in literature. How hard can it be to write a poem? Not hard at all. The following is my first attempt at writing poetry. It is a narrative epic of a terrible battle that took place many years ago. It is a parody of The Night Before Christmas by Clement Clarke Moore. Twas the night before Christmas, and all through the house. Everything was stirring including the mouse. Who cares about stockings? Who cares about St. Nick? There's a mouse in the house, and it's making me sick. Mama with a 'kerchief was standing on a chair. Sis with a broom was swinging at the air. Brother by the mouse hole was looking quite puzzled. I had my shotgun and was adjusting the muzzle. When out on the lawn we heard such a clang. We ran to the door just as the doorbell rang. We opened the door and to our surprise. The Orkin Army appeared to our startled eyes. They brought in their sprays and they poisoned our house. And we had to leave because of one little mouse. The Orkin Army failed as we knew they would. But, there was one man left, and we knew he could. Along came Santa with his pesticide and spray. He would rid the house of the mouse or he wouldn't go away. So he sprayed and he zapped with all his great might. The mouse was choking and coughing, but it saw the light. The mouse ran out at a very quick rate. It had to run to the store for some Kaopectate. Santa said, "I'm in the wrong business, don't you know. Ridding houses of mouses is the best way to go." On to his sleigh as he drove out of sight. Santa's Pesticide Service began on this night. The next meeting of Poets Anonymous will be February 9, 2019, between 9-11 a.m. This group meets every second Saturday at the Flowood Library. Come express your inner poet with a group of talented writers of poetry.